With one of the oldest and most distinguished collections in Florida, the Cornell Fine Arts Museum at Rollins College can boast of more than 5,500 objects from antiquity to the contemporary. 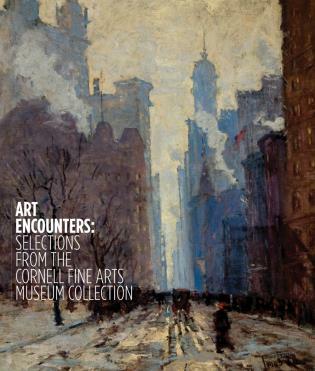 This beautifully designed volume is the first to celebrate the museum's broad and eclectic holdings, including Old Masters, photography and works on paper, American and European paintings, 20th-century works and an exciting new contemporary collection, as well objects, artefacts, and archaeological fragments from world cultures. Ena Heller is the Director of the Cornell Fine Arts Museum at Rollins College. Elizabeth Coulter is Dale Montgomery Fellow at the Cornell Fine Arts Museum. Amy Galpin is Chief Curator of the Patricia & Phillip Frost Art Museum at Florida International University, and was formerly Curator at the Cornell Fine Arts Museum.